It’s hard to believe my once baby girl is driving around town all on her own, and that makes so concerned for her safety all the time. My other thoughts are always about what if she gets lost? I know she has her phone, but I don’t want her playing with a phone while she is driving, fumbling it around, bringing it out, or seeing text messages. I just want the phone tucked away and out of sight. What are my options? What does a parent do when they want their kids to be able to travel around and not get lost? In our case we got a TomTom Go 500 to make navigating around the great City of Pittsburgh and all across America so much easier on our daughter because the TomTom Go 500 is an awesome navigational GPS! 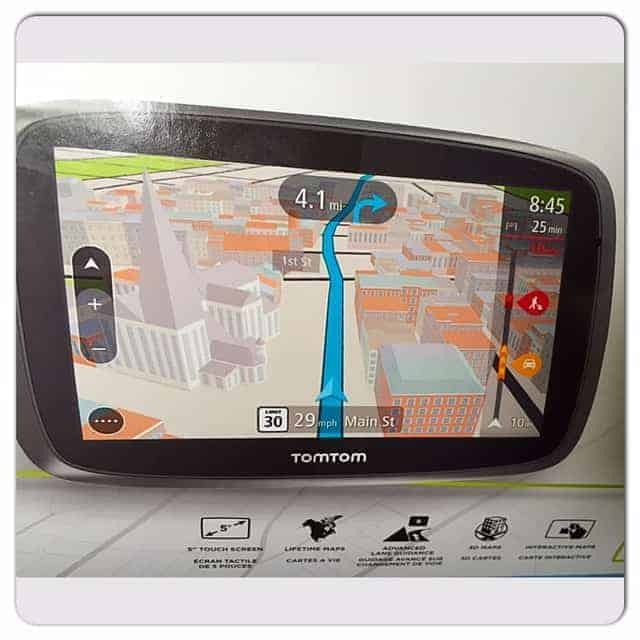 My daughter loves the TomTom Go 500 as she gets around town in her new BMW and the TomTom GO 500 GPS. Lavishly live travel out loud with an overview of Kallie’s favorite features of the TomTom Go 500. This was quick and easy to learn how to use, in fact, the first day we got it my daughter opened it up, plugged it in to charge and then took off to her friends home, where I had only driven before. She got there easily and even found a different route than the one I used to use. Each day she learns a bit more about the TomTom Go 500 as it is part of her daily travels now. I will say, out of so many cities that we have traveled to and in, Pittsburgh is one of the worst to navigate in as there are a lack of navigational signs. If you don’t know the ‘back roads’ you often get there long after everyone else. The TomTom Go 500 is a must for getting around the city, to and from new places that she might have traveled with me, but has not driven herself. Lavishly living life out loud and traveling around. I also tried a lot for the comment, may b there are som issues in commenting modules.